"In my 10 plus years training with Mr.Yoder not only did I receive the best training of my life I also learned the most valuable lesson I personally could. That being self control. Martial Arts came very natural for me. In fact I earned my black sash in just 2 years. Now I know this sounds like a long time for some but understand what you have to know and execute for this rank IS Not an easy task. But even still I had very little self control and that is the number 1 rule for any great martial artist. Mr. Yoder sat down with me and told me that I was very good but my anger was getting in my way of being great. He explained to me how anger will only hurt you. How you must be with body, mind and spirit to be the best that you can possibly be. Once you have done this then the art will become a reflex and natural. Once I learned this I went on to earn my 1st degree black sash under Mr.Yoder. I am looking forward to going after my 2nd degree. I know it's going to be a lot of work. I highly recommend any one who is serious about self defense to give Mr. Yoder a try. His knowledge and training is some of the best." Jason Velez Highly recomended for all your Kung Fu needs! Martin Rogers Bob is a first class martial arts Coach / Instructor would recommend to any one living in bobs area if you want to learn Martial arts visit Bobs Academy! Al Case I've known Bob over the net for years. Always professional, always concerned with making sure he does right and in the right way. A real human being. Frank Fuller Great teacher and martial artist. Nice job. I have been of Student of Bob Yoders Kung Fu Academy since mid September 2012. I have learned a lot of practical things that I can use in the real world if needed. In the Tai Shu Do style we focus on self defense, which are skills we can use in the real world unlike a lot of other styles they teach you things that are mostly for show and have no real world uses. This helps a lot since I love to travel and I need to be able to protect myself. It's a lovely and comfortable place I recomment to drop there just to see it up. Mr. Yoder is one of the best martial arts instructors I've ever had the privilege to train with. 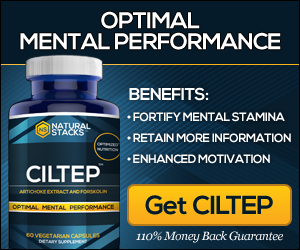 If you are serious about learning what really works in the real world this is the place to do it. The academy is fully equipped and the students are like family. Also the rates are the most affordable that you will find anywhere and there are no long term contracts. He also offers a free trial lesson before you join and there are many training options available to suit your needs. Thank you Mr. Yoder for teaching me and my family to defend ourselves! 5starIt's a lovely and comfortable place I recomment to drop there just to see it up. Mr. Yoder is a very good teacher and a very kind man. Our son has been with him for about 2 years now and Brandon enjoys going to his classes. I trust Mr. Yoder in teaching our son what he should know in order to protect himself and me for that matter. He offers the first class free for you to try, so if you are thinking about learning a martial art, why not give Tai Shu Do a try? Bob Yoder is a Great Master in Chinese Martial Arts and good knowledge of Combat Karate, Jujitsu, Weapons and many Martial Arts! Bob is the man! Check out Bob Yoder's Kung Fu & Kickboxing Academy Martial Arts! 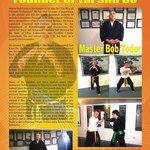 Bob Yoder is a Great Master in Chinese Martial Arts and has great knowledge of many forms of the art, Weapons, and many Martial Arts skills; he is a wonderful person who truly loves what he does and a true gift to those who work or train with him. Outstanding Martial Arts School... Skilled instructors! Recommended!! I couldn't possibly be more impressed with Sensei Yoder's dedication to sharing his knowledge. Every student is given the attention they need to achieve their goals. As a parent I cannot express the sense of security it provides to know your child is given the knowledge and skills to defend themselves. You're a great friend and teacher, it's my pleasure to be your student and friend. If there were a higher rating I would post it. Mr. Bob Yoder is real. A band of family who listens and trains. Really a great and caring Martial arts teacher. Highly recommend Bob Yoder's Kung Fu & Kickboxing school! You gotta try it. You will love it. Our whole family loves it. Excellent programs for all your martial arts needs!! "Grandmaster Yoder is a excellent instructor. I highly recommend him for martial arts and firearms instruction." A great place to learn martial arts. I have studied under different instructors in the past and none of them even come close to the instruction I received studying here under Bob Yoder. I learn more here in my first month then I did in 6 months under my past instructor who called himself a Master. I only left because I had to move.